Unless you do it professionally, there’s really no reason to physically fight anyone. Especially if you are a pro athlete at a competition and you know there are multiple cameras trained on you at all times. This is one way to get yourself a two-year ban from motorcycle racing, if you were curious. 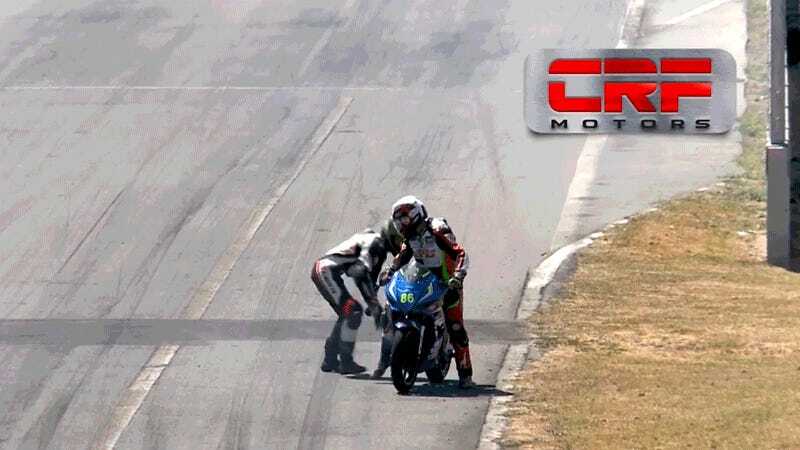 Last month during the National Championship of Motorcycling of Costa Rica, an altercation broke out between riders Jorge Martinez and Marión Calvo. 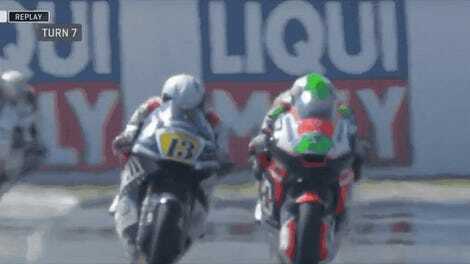 While running at allegedly full speed down the straight, a bump caused Martinez’s motorcycle to destabilize, reports BBC News. Probably to keep himself from falling on the pavement, Martinez grabbed onto Calvo’s bike and managed to stay on it while his own bike went shooting off, thankfully not hitting anyone. Calvo kept his bike steady before pulling over at the end of the straight. And then it seems like as soon as he was back on his feet, Martinez threw the first blow at Calvo, which knocked him over. Calvo then retaliated by running after Martinez and throwing another punch. All of this going down while the other riders dodged around them to avoid hitting them. Both riders, the outlet reports, received a two-year ban. As a reminder, folks: There’s no need to throw punches. Especially when everyone is watching.